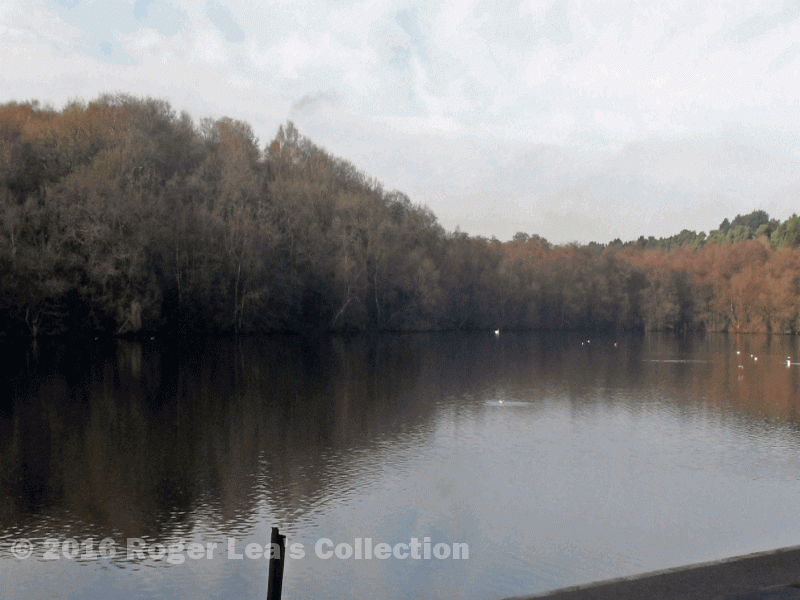 The dam of Blackroot Pool in Sutton Park was completed in 1759. Lying as it did within Sutton Park, the corporation of Sutton, known as the Warden and Society, owned the site of the pool, but the pool really belonged to Joseph Duncumb of Moat House, who paid an annual rent of twopence to the Warden. Water from the pool was used to power a leather mill, but Duncumb’s main interest in the pool was recreational - pleasure parties on the water in summer, duck-shooting in winter, and fishing all the year round. The next owner of Moat House, Duncumb’s son-in-law S.F.Steele Perkins, took out a new lease on the pool in 1802 treating it as part of his country estate - this was before the Town Gate entrance to the park was made, so access to the park was via Hartopp Gate. The tranquil Blackroot Pool was admired for its secluded and picturesque qualities - Sarah Holbeche, for example, liked to think of it as “my pool”. William Steele Perkins inherited it in 1852, still paying a small annual rent, at a time when Sutton Park was becoming a popular place of resort for people from miles around. The number of visitors increased sharply with the opening of the railway line to Sutton in 1862, and on 19 August 1863, the Warden and Society resolved “that in order to increase the number and efficiency of the force for maintaining order in the Park and protecting the inhabitants and respectable visitors from the lawless portion of the excursionists the Corporation consider it necessary to impose a payment per head upon all persons entering the Park not being inhabitants”. Phillips was still the proprietor in 1893, when he advertised his large fleet of boats and canoes and “fishing, with use of a punt, 2s. 6d (12½ p.)”. In 1944 income from boat hire (including on Wyndley Pool) amounted to £3189/8/2d, and the fleet consisted of three motor launches, one speed boat, 107 rowing boats and 27 children’s boats in addition to punts and canoes. Now the boats have all gone, and something of the spirit of tranquil scenic beauty which Miss Holbeche feared had gone for ever is revived. 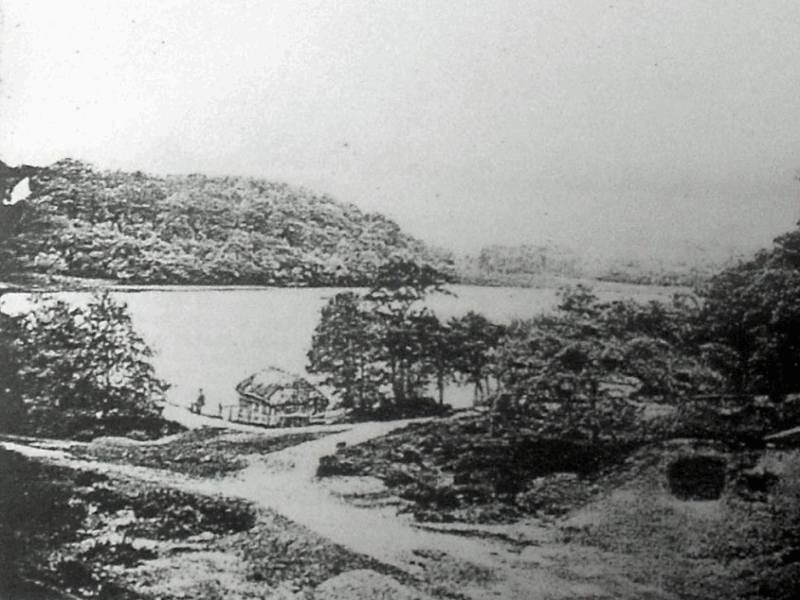 Print of Blackroot Pool c1840, the track in the foreground leading up to Hartopp Gate was the main access route before the Town Gate entrance was made in 1826.